Impeccable Design & Drapery is exactly as it's name describes. We offer Impeccable Design, Impeccable Drapery, & Impeccable Service. It would be our pleasure to help you on your next project. Fayette's Window Treatment Specialist With 30+ Years of Experience! We Design and Create Custom Window Treatments for every Style and Budget. Serving all of Lexington Kentucky. The Window Fashions On Wheels System provides each of its clients with personal attention and custom-designed fashions made specifically for the window and the room! We install all of our creations, leaving you with a complete renovation to your existing window. With our 30 years of experience in window treatment design and installation, you can be sure that your window will look and feel exactly as it was designed. No two jobs are exactly alike, we create a personal style for each of our clients. Servicing both residential and commercial clients, Window Fashions On Wheels never charges for an in-home consultation or installation...Both are FREE. Window Fashions On Wheels will even upholster your furniture pieces and coordinate to match your new windows. Window Treatments can transform a plain ordinary room into an amazing site for sore eyes. Even though customized window treatments are more expensive than over the counter solutions, you can not put a price tag on how much they improve the decor of a room. Window Fashions can be specifically tailored to your liking and match your room's design with exact precision. Remember, windows are meant to allow light into a room, they are designed to add function to your home, why spend a ton of money on great new furniture, carpet, or hardwood flooring and leave your window decor simple. Large windows with great Treatments can even serve as the main point of interest in a room. When it comes to windows, there are certainly many options; Window Fashions On Wheels provides you with solutions to your window decor needs. 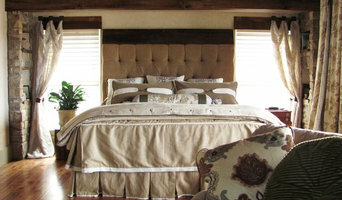 Lexington Blinds is the only name you need for a wide array of quality interior services. We offer blinds, shades and shutters manufactured right in our own facility, no middle-man here, just factory direct to the public. Our interior design staff is ready to assist you from the ground up, whether building or remodeling. As a family owned business, we know we have to work hard every day to earn your business and your trust. Satisfaction is always guaranteed. We will work harder than anyone to see that your job is done right and stays right. 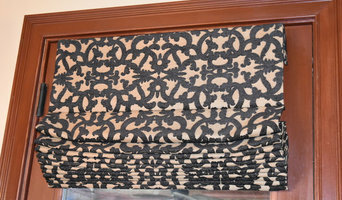 Custom Window Curtains, Draperies, Bedding, Shades, Pillows, and more for your home or business. For professional quality sewn home décor, Call me today to help your designs come to life. Find your Custom Created Happiness with Sew Joy. 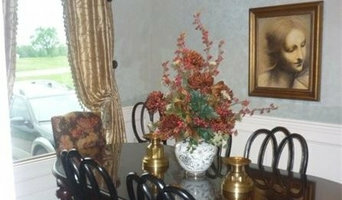 Leading Style Interiors, LLC is a Kentucky-based, custom design studio offering comprehensive interior design services. Our professional and experienced design staff is dedicated to delivering high quality designs and unparalleled customer service to our clients! Unique, vintage, creative window treatments. Quality fabrics, velvets, taffetas, laces, silks, chiffons are mixed to create works of art. Come visit our showroom in Lexington Kentucky to browse ready-made, unique window treatments & accessories! If you are a designer, we would love to speak with you about our wholesale application. In business for over 20 years.We are a Custom Drapery and bedspread workroom. We also manufacure Roman shades, pillows, Duvets, dustskirts and tablecloths. We are a full-service window blinds company serving residential and commercial customers in Lexington, KY and throughout all of central Kentucky since 2001. Our goal is to ensure the complete satisfaction of every customer, while offering knowledgeable and friendly window blind service. We carry a wide variety of blinds styles and provide professional measuring and installation. We also clean window blinds using Ultrasonic Technology. All Blinds has gained the experience of being able to provide nearly any type of window blind service that you require. However, if you don’t see exactly what you’re looking for here, please contact us and we will do everything we can to satisfy your needs. Miller's Window Works has been a family owned and operated business for over 35 years. 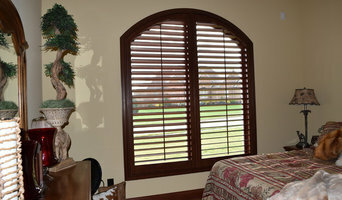 Miller's Window Works is a unique window treatment business in that we manufacture many of our own blinds, shades and shutters right here in the Lexington Kentucky area. Our high quality products are comparable to leading name brands but with a substantial price savings to you. Looking for quality blinds, solar shades, plantation shutters, or shades? We can help. 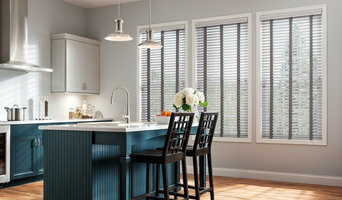 Classic Blinds is your window treatment source in Lexington, KY. Call 859-554-0248 today. Classic Blinds is a full-service dealer that has been in business since 2002, and provides certified installation of top quality window blinds, solar screen shades, shades, and plantation shutters. Using established vendors like Hunter Douglas, Lafayette, and Insolroll makes our customers very happy as they love quality products. We are a local window treatment dealer, offering a variety of window treatments, including horizontal blinds, vertical blinds, wood blinds, faux wood blinds, roller shades, roman shades, woven wood shades, honeycomb cellular shades, sheer shades, plantation shutters. We serve Lexington KY, Louisville KY, and Southern Indiana as well as the surrounding areas. We're dedicated to bringing Georgetown and surrounding areas high quality blinds and draperies. We help you find the best window treatments and window coverings for your home and lifestyle.